I am so glad that I picked this one up! I enjoyed Riordan's Percy Jackson series, so when I heard about this line of books, I knew that I had to check it out. Chokshi is a talented writer and I will definitely be looking for more of her works. 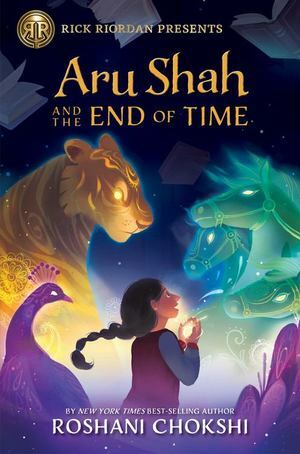 Aru Shah and Mini are great characters. I enjoyed them more together than I probably would have individually. They balance each other out and they each makes the other stronger. I don't know much about Indian mythology, but I feel like this was a great introduction to it. But, I also want to learn more. The quest to the Kingdom of Death was suprising and nothing went as expected. Though the final battle did not end in a permanent solution -death, Aru and Mini did accomplish their overall task. Again something that didn't happen as expected. I am definitely looking forward to more adventures with Aru and Mini,and the rest of the Pandavas. An epic quest to save the world with two leading heroines? Yes please!! !